7 card stud poker was once the favoured game of poker players. Texas Hold’em overtook it early in the 2000s and has become the most popular online poker version. But players are taking a look at 7 card again, appreciating its classic status and the different gameplay it offers. Whereas Hold’em is a “community card” game, in which all players share some cards, 7 card stud is played on individual hands and its rules differ from Hold’em rules in several respects. It is in some ways a more considered game. 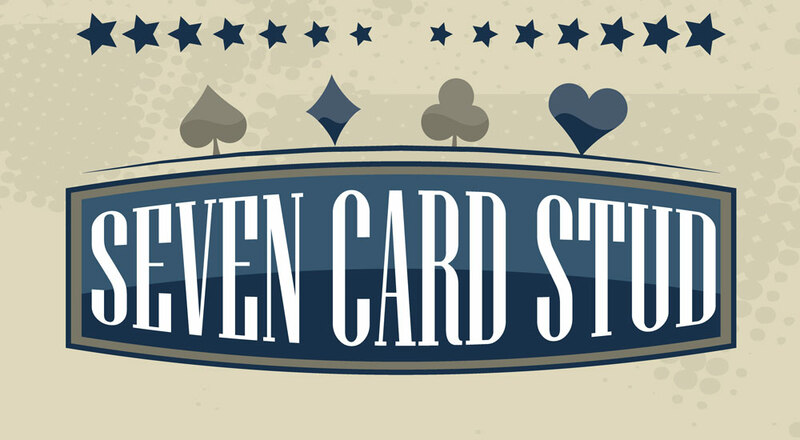 So let’s look at how to play 7 card stud and the key poker tips you need to bear in mind when playing. The hand rankings are the same as in other poker games, and the objective is of course absolutely the same – to win that pot. But first, players have to “ante” meaning, buy into the game before any betting on hands begins. In online poker, the amount of the ante will be clearly stated before the game begins. It’s often set at 10% of the amount of the largest bet allowed. There’s no “big blind” and “small blind” as you get in Hold’em. The dealer gives out the cards one at a time to each player, with two cards dealt face down and one face up. The betting starts with the player who has the lowest value card and proceeds leftwards. Aces count as high in this respect. The dealer now deals everyone still in the game another face-up card, and there is another round of betting. This process is repeated until all players still in the game have a total of four face-up cards, and their original two in the hole. The final card is dealt face down. Players now have three hidden cards and four exposed ones. This is where the calculations about what other players might have, are vital. You make the best hand you can out of five of your seven cards. The other two cards are not used to evaluate hands as it’s not possible for two fnal hands to tie – two similar runs or flushes would be judged on suit ranking (clubs lowest, then diamonds, then hearts and spades highest). There’s no feeling quite like getting two aces face down and one face up. In physical games, there’s an easy tell that someone has something interesting in the two face down cards. They don’t check them much because they’re easy to remember. Of course more sophisticated players who wish to disguise the fact they’ve got a high pair hidden, then make a great show of pretending to forget what their hole cards are. Obviously, in online poker you lose this “tell”. However, the betting that follows the deal can be equally revealing, so watch closely for how much people are betting in the first round of betting that follows the deal. There’ll be all the usual strategies that you get in Hold’em, in terms of trying to force other players out, playing it quiet, bluffing and so on. For rounds one and two, betting is in segments the size of the small bet at the table. If the small bet is £5 then a raise would also be £5. The player starting the betting can either put down an amount equal to the ante, or the amount of the small bet but they have to bet. The next player can fold, raise or check as in other poker games. After the first round, it’s the player with the highest hand showing on the table who leads the betting. In the final three rounds of play, betting is in the size of the large bet. There’s usually a limit on the number of rounds of betting that can take place after all cards are dealt. Many people prefer 7 card stud poker both as a home game, and an online poker variant. It used to be difficult to find online, with every online casino offering Texas Hold’em. But as the online poker market has grown, there’s been more interest in some of the classic games of poker. Try 7 card stud and you’ll soon see why it became a classic.